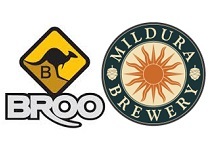 Australian brewer Broo has announced the acquisition of Victorian beer company Mildura Brewery. Established in 2004, Mildura Brewery has a core range of six beers and a pub at its Victorian brewery. According to Inside FMCG, the investment of A$1 million ($768,600) will allow Mildura to expand its product range as well as giving it the capacity to distribute nationally. “The acquisition provides Broo with an exciting extension of our existing business by providing a micro-brewery hospitality venue for Broo to showcase and realise retail margins for its beer products”, said Broo’s executive chairman Kent Grogan. Regarding additional expansion, Grogan said: “This model is in line with the Company’s domestic growth strategy with additional sites currently being evaluated for further expansion”.